We’ve all heard of the phrase “Stick to the script”. More so when it comes to executing scenes of a movie. There’s so many people working on it to make sure of perfection all the way from the written scripts to final dialog delivery. More often than not, actors do stick with the script, but if we look into the history of cinema, some of the most glorious moments have been created off the dome and on the spot. 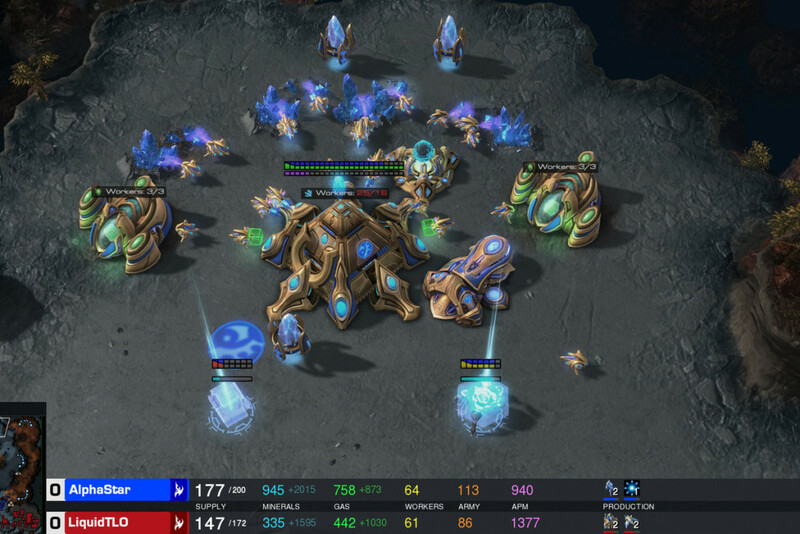 Little deviations have proved to be magical after the takes. Improvisation can either be way in which the scenes are enacted, reactions of actors to a particular moment, or an impromptu speech delivered by the actor. Some of these improvisations have turned the movies into cult-classics and the scenes the most enacted ones. 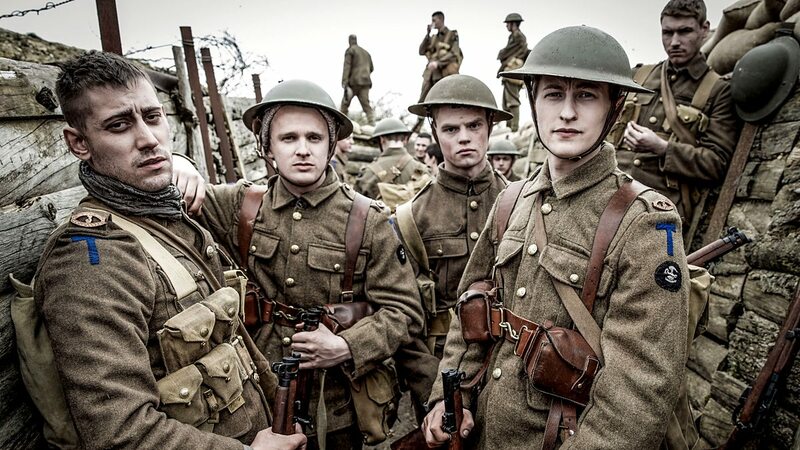 Coming to the knowledge that those clap-worthy moments were actually not in the original script, our admiration for these great actors reach a new level of high. But not all are able to leave such magical touches in their works. It takes a huge deal of dedication, knowing the character inside-out. 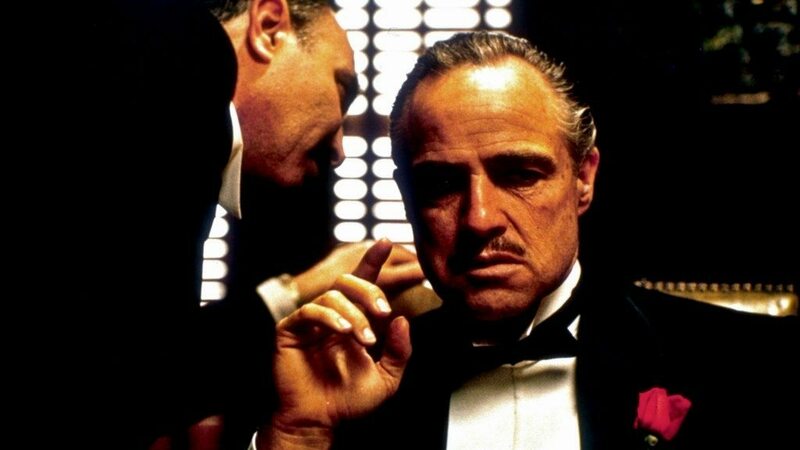 Here we pick down the list of top 10 improvised movie scenes. In the scene where Calvin Candie (Leonardo DiCaprio) smashes his hand on the dinner table, he accidentally injured his hand on a glass piece with blood smearing all over his palm. He kept moving through the scene, never breaking his character despite his bloody palm. 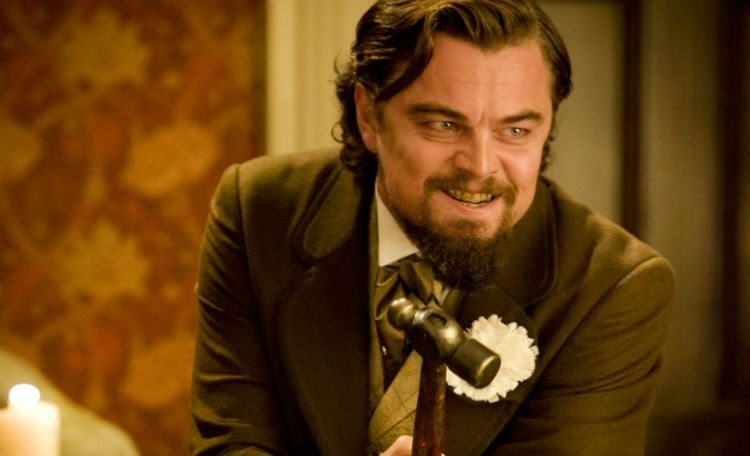 Quentin Tarantino appreciated this act and decided to keep it in the final take of the movie. The rest, they say, is history. This cult-classic witnesses one of the best acting performances as villain by none other than Anthony Hopkins. 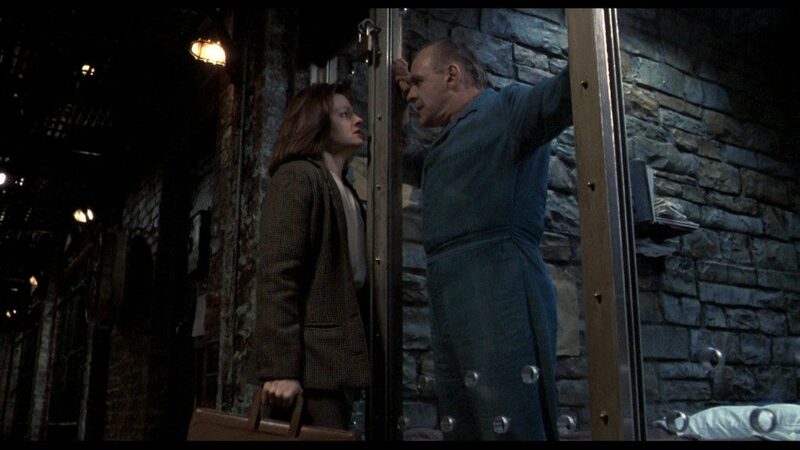 The scene where Dr Hannibal Lecter (Anthony Hopkins) is being interrogated by FBI agent Clarice Starling (Jodie Foster) about his cannibalistic drives, he gives a fitting reply, saying “I ate his liver with some fava beans and a nice chianti” accompanied by a hissing sound. This has been touted as one of the most iconic lines in cinema but the interesting fact is that the hissing sound was a joke rehearsed by Anthony to spook Jodie Foster. Despite only given a total screen time of less than 35 minutes, this iconic performance led to an Academy award win for Anthony Hopkins. “Don’t bring a sword in a gunfight”. 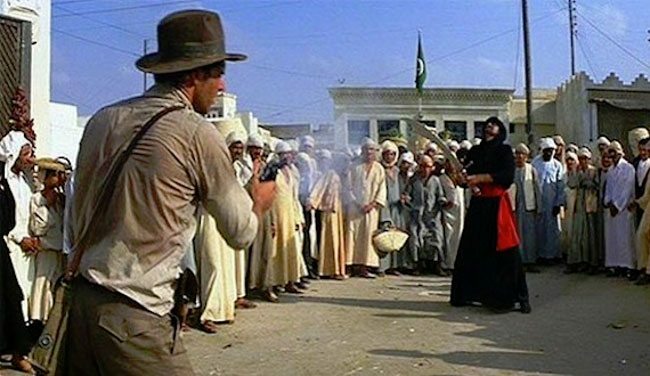 Perhaps there is no better explanation for this quote than this scene where Indiana Jones, played by Harrison Ford runs into a red-robed fighter brandishing his sword. 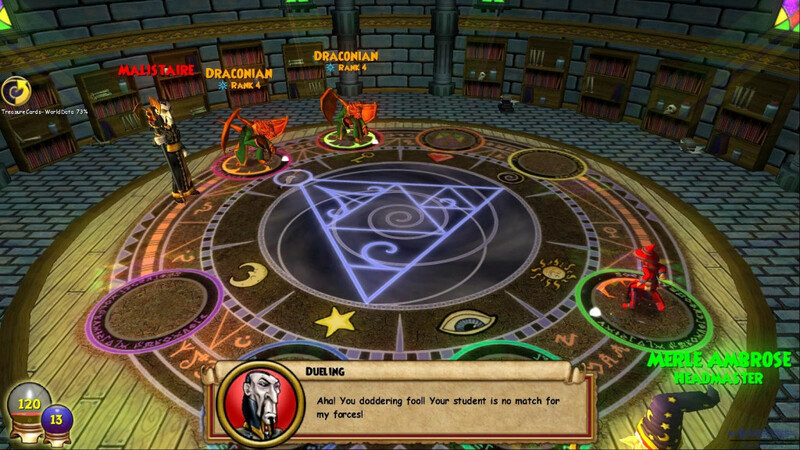 The warrior tries to intimidate Jones by doing some rapid sword-spins. The script initially had an immersive sword-whip fight between the two and the swordsman had rehearsed the sequence for weeks, but Harrison Ford was so tired of all the shooting that day that he suggested an idea; Jones saved his breath and pulled out his gun and shot the warrior like a true example of being a total badass. 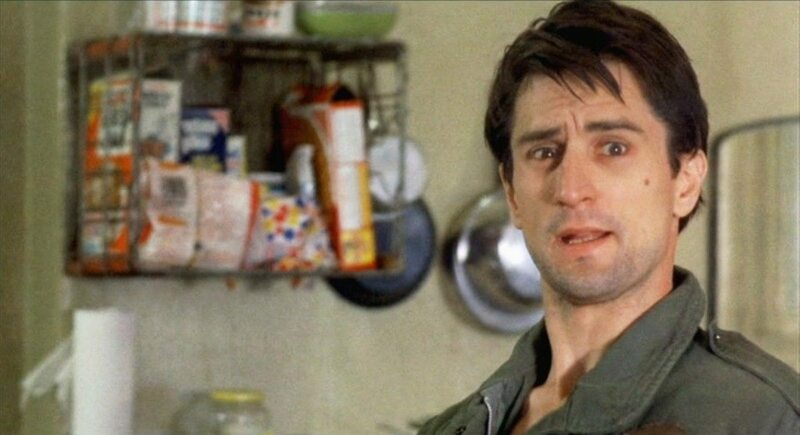 Robert De Niro played a psychopathic blood-raged person in this classic and delivered one of the most memorable dialogs that would later go on to become an iconic pop-culture lexicon. There’s a scene where Bickle goes batsh*t crazy and decides to talk to himself in the mirror in the pretense that he was going to kill a politician. The next moment, he pulls out a gun and says “You talking to me?”. The script initially had written “Travis talks to himself in the mirror”, but De Niro took the liberty of the scene and tried to improvise with all of his emotions, creating a classic one-liner, still in use since then. Nolan’s take on the Batman franchise had been brilliantly cast, with Christian Bale and Late Heath Ledger playing the role of Joker. 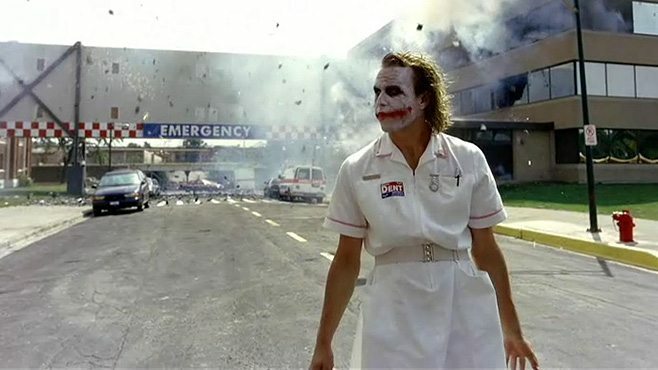 In the scene where Joker comes out of the hospital with explosions happening in the background, originally the idea was to collapse all of the buildings at once while Ledger pressed the switch on his remote, but it didn’t come off as it had been imagined. The explosions stopped midway, but Ledger did not call it off and played out the scene by pressing the buttons constantly as if the remote was not working fine. Nolan liked it and let him keep going. At last the buildings exploded and the scene was one of the best in the entire movie. All thanks to the genius of Heath Ledger who later won the Academy award, posthumously. The funniest duo ever cast in Hollywood, Jim Carrey and Jeff Daniels played characters that were out of their heads. In the van scene, where they pick up a hitchhiker, the script originally had Jim and Jeff to break the nerves of hitchhiker over an argument over jelly beans. The hitchhiker was actually a hitman who was to kill them both. They both in turn go berserk and started horsing around making annoying noises endlessly till the hitchhiker in the middle couldn’t withstand it. 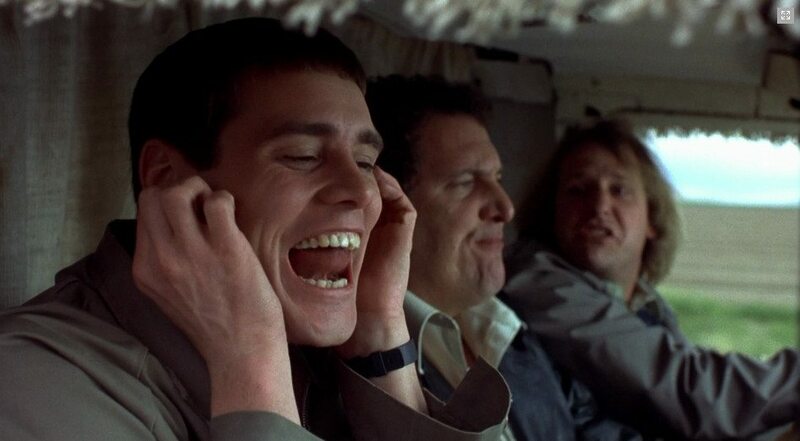 Lloyd then asks “Hey, wanna hear the most annoying sound in the world?”, and started shouting in his ear. Yes, the entire scene evolved on-the-go. The assigned dialogs couldn’t keep these knuckleheads from doing a scene so freaking hilarious. 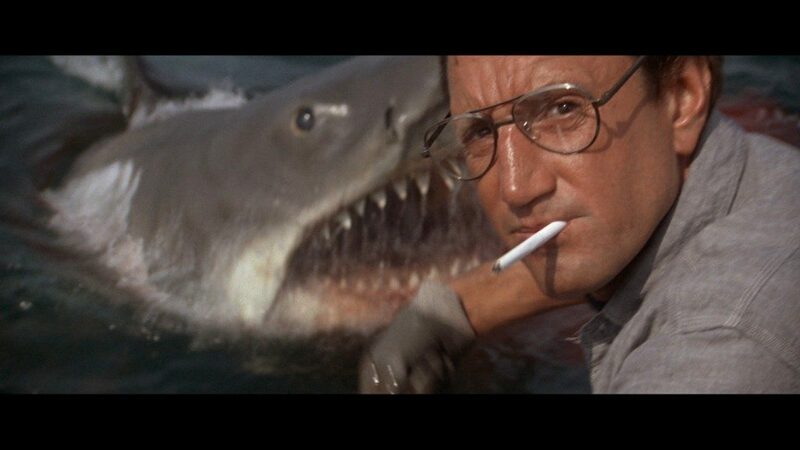 In this Spielberg classic, Police Chief Brody (Roy Scheider) was looking for the Great White in the waters. As he gets his eyes on the monster of a fish, he is petrified and stunned at the sheer size of the thing, he bums a cigarette, stands up and utters one of the most famous lines, “You’re gonna need a bigger boat.”. This was completely off-script and given the amount of applause this got, it was one hell of an improvisation on the actor’s part, owing to the success of the film too. Stanley Kubrick’s take on the brilliant Stephen King novel is a piece of art with an eerie directing style and great cast. Jack Nicholson played a deranged husband threatening to kill his wife. She hid in the bathroom with him outside with an axe. 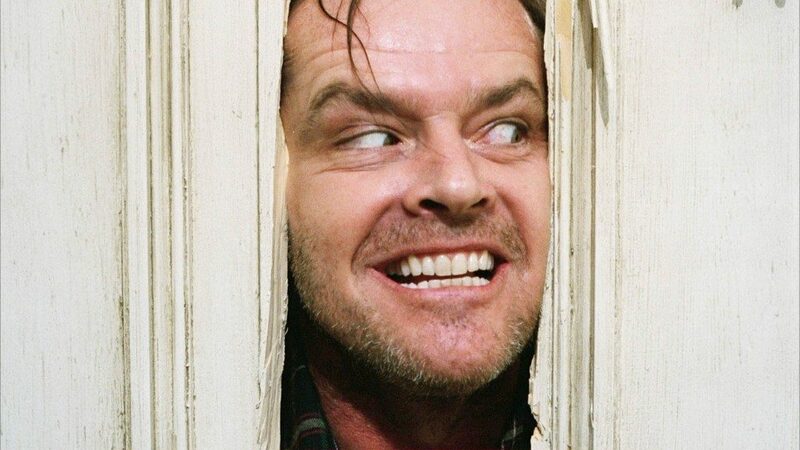 He bust the door with the axe and said the iconic line “Here’s Johnny!”, referencing Ed McMahon’s catchphrase in the The Johnny Carson Show. Very few know that this was completely off-script. Nicholson improvised it on-the-go. 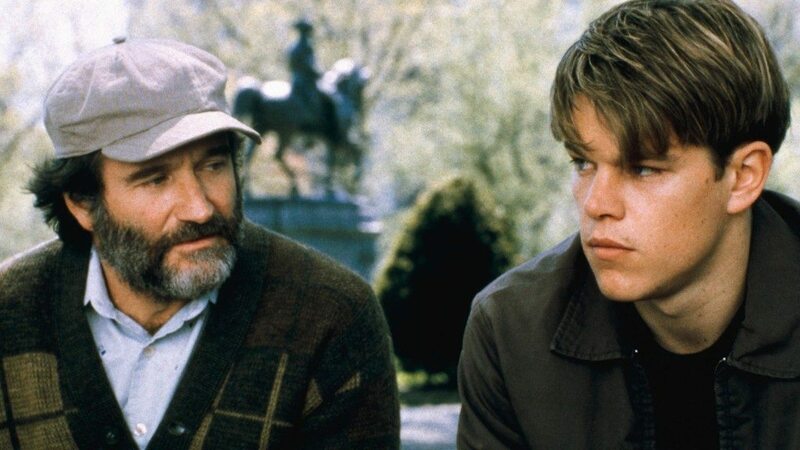 In the scene where the therapist Sean Maguire, played by Robin Williams talks about personal things with the genius janitor Will, played by Matt Damon, Robin tries to tell him personal stories about his wife to try to open his feelings to him, recalling the farting habits of his wife. This causes Will to burst out laughing. The entire story was weaved by Robin Williams right there on-the-go. He’s always been an improviser and this portrayal of a light-hearted therapist earned him his first and only Academy award. If one looks closely, the camera shakes a bit because even the cameraman couldn’t control his laughter. This cult-classic film contains some of the best acting done in the history of cinema and to talk about improvs, there are quite a few actually. But the best and most subtle of them all is the introductory scene showing Vito Corleone (Marlon Brando) delivering one of the best opening lines in cinematic history whilst gently stroking a cat. The catch here is that the cat didn’t actually was on the script. It was roaming around the set when filming began when Brando took it in his arms and played out the scene with the cat on his lap. Director Francis Ford Coppola found it fascinating and decided to keep it in the film and it ultimately turned out to be one of the most iconic moments in the history of cinema.